For every one of you who read part one of The Complete series of the Football Manager Mentality Ladder by ‘The Hand of God’ I assume you are all eagerly anticipating the next part in the series. 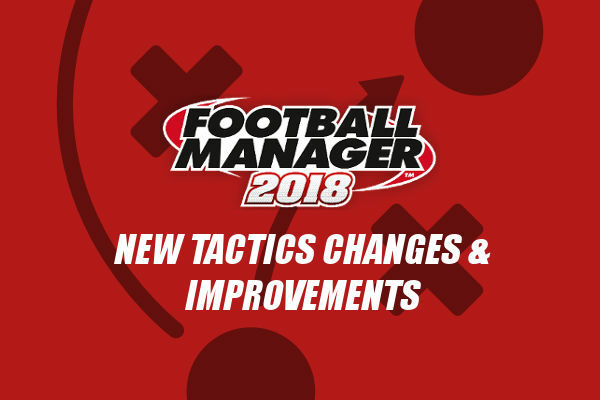 Today you will get the chance to understand the Football Manager Very fluid mentality structure and how tactical priorities and duties are covered within this type of fluidity setting. It lets you understand the different player roles tactical priority within the very fluid fluidity and the collective responsibilities which creates more movement between lines. Learn more about the very fluid mentality structure and its influence on players tactical priority according to duty and role below. This represents systems in which all players are expected to help contribute to a general, collective function and in which, accordingly, there is significantly less differentiation between players based on position and role. While this demands a greater degree of versatility and tactical awareness from each of the players, it encourages the team to cooperate closely in carrying out specific tasks while promoting more movement between positional strata and, thus, greater variety and unpredictability in the team’s play. In practical terms, this represents a playmaker who stays deeper than other players in his position to focus on controlling the flow and tempo of the match. His non-controller teammates, accordingly, become slightly more aggressive to compensate for the controller-playmaker’s more cautious orientation. The Controller Effect applies to very fluid contain, defensive and counter mentality structures that use a Trequartista at ST, an Advanced Playmaker at AMC/L/R, a Deep-Lying Playmaker at CM or a Sweeper (that is, the role, not the position). In the following outlines, you should move each outfield player (with the exception of other sweepers, DLPs at MC, APs at AMLRC and trequartistas at ST) up one position on the mentality ladder for Counter/Defensive mentalities and up two positions for Contain if the mentality structure is subject to the Controller Effect. Keep in mind, the Controller Effect does not affect other controller-playmakers regardless of their position, and the alterations imposed by the Controller Effect are the same regardless of how many controller-playmakers are used.